Forecasts for iPhone production cuts are becoming a familiar refrain but they are now reaching a crescendo mode as an analyst from the research shop Rosenblatt is predicting in MarketWatch a new round of order cuts for the March quarter. 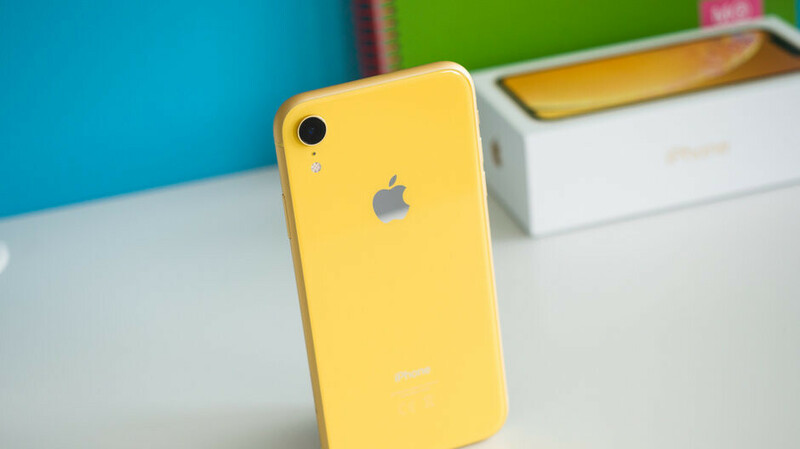 The iPhone XR is expected to take the biggest hit, as it may amount to 2.5 million out of the 4 million total order dive. The iPhone XS orders are said to be slashed with 1.5 million, and the most expensive XS Max might see the smallest drop in production orders, to the tune of half a million. Our iPhone estimates have been lowered to 39 mln units for the March quarter, and we believe iPhone shipments will be down 10% y/y in C2018, as we already expect Apple might continue cutting their production for the March quarter. We will review our estimates in January, but we continue to believe Street estimates for March and C2019 still need to come down. In his memo to clients, the analyst cites headwinds in China following the arrest of Huawei's heiress by the Canadian authorities on the request of the US federal government for violating sanctions against Iran. China retaliated by granting an injunction against older iPhones in the Qualcomm patent case against Apple. Adding to the legal troubles, Germany also made Apple pull iPhone 8 Plus and below from stores until the patent lawsuit dust settles. The combination of tepid demand for newer iPhones with potential bans on older models in some markets sounds like the perfect storm for Apple, sending its stock price into the first "death cross" in three years. Apple's shares have spiraled down with one of the steepest declines on record for the company, admittedly from record highs, too. Apple is not alone in this latest market rout, as mounting privacy, revenue and other issues brought down Facebook, Netflix, Google's Alphabet and countless other tech stocks in the last few months or so. Exciting Times... lets see if apple reacts as well as samsung did a couple years back. Hahaha and phonearena were saying apple is going to hit 270 . You got to feel pretty stupid now. Hopefully nobody took your advice and brough apple stock. Your darling stock has crashed just like i warned you. Well it's not over yet might go much lower. Now it's great time buy shares, this opens huge new opportunity, well maybe just wait little bit still and buy just before holiday q results. Apple still a great company to invest in but when? I can tell you it is not now. Wait until trade war over before buy in. Maybe yes, maybe no. Next year come new form factors like foldable phones and 5G phones from Samsung, Huawei... while Apple is sticking to the same design. The trade war with China might get worse e.g. 25% tax on iphones in the USA and boycott in China... I do not say, sell your stock, that is your decision, but I would not dare to advise others to buy or to sell; especially when you have given the same advise when Apple was over $220. It's still falling. So most definitely not the time to buy Apple stock. this opens great opportunity to take a risk I think this analysts sees the whole picture Apple Stock Will Rally Because Services Revenue Will Surge, Says Analyst https://www.barrons.com/articles/apple-stock-to-rally-because-services-will-surge-says-analyst-51545248617 People just don't see the whole long term picture. Eventually all phone companies sales are starting to slowdown and then you have to have something else to fill that and Apple definately has. Apple propably will going to show this with their holiday q results that they are lot more than iPhone company. Since this post, Apple's stock dropped another $10. So midan telling people it's an opportunity to take a risk is just stupid. The stock is going to drop even more. I will place bets on that one. Apples primary source of income is the iPhone, sales drop enough and their other sources of income cannot make up for it. Not to mention their other income is highly dependent on the success of the iPhone. IPhone sales drop and fewer people pay for Apple services causing revenue to fall more. Meanwhile most Android OEMS do not rely on their mobile division to stay profitable. Many could exit the mobile industry and keep on going in their other industries. Apple leaves mobile and they've got nothing but the Mac to fall on. Apple stock value is gonna keep dropping because sale swill deol because if Apple raises the bnb price more, its gonna cause even less sales. If Apple lowers product costs, that means lower ASP. Which means less profits which also make stocks drop and stockholders sell them Unless Apple reveals some new things, they are done. Apple Car is already a failure. Their services will also start to suffer as sales drop too. Because that means mess apps being bought. It also means less accessories being bought. And before you mention Samsung is having issues. Yep they too are but for different reasons. Chinese are making phones that are as good as Samsung midrange for the price of a low range device, some even have flagship like benefits like nice cameras and very nice designs. A $700 OS as good as a $900/$1000 when you dont need things like pen input. Your cheerleading days are over son and itd exactly what you condescending sales cheerleading, inferiority complex having. Half educated losers deserve and I dont pity you. Y’all been preaching Apples stock price drop, yet every year it exceeds expectations. You should feel foolish rouyal, especially when Apple's stock dropped an additional $10 since this post. This time is not only apple the stock market is crashing. First off, let me be clear...YOURE WRONG!!! Again, you dont own a business or have owned one, so you have zero idea what you are talking about. 70% of Apple income is driven by the iPhone. This means services Apple provides like Cloud, apps and more will all take a hit. They will take a hit. Once people have bought what they want, they dont need to buy it again. Most of Apple services are subscription based so as long as those people renew, those services may take less of a hit. But they will still take one. And with no new products selling that means those services won't gain and new ussge. Not only is Apple losing salesl, more people are also switching away from Apple because of price. These still may retain some of Apple services as long as they have an iOS device. But if that device is not their daily driver. They won't be using those services for long and are more likely to cancel them. Again you have zero idea what you are talking about and how low or drop sales of a flagship product effects others. When Microsoft suffered low sales with Windows Vista, it also meant less sales if office and other apps for Windows. It doesn't matter if Apple does a report that exceeds expectations. Expecting less and getting slightly more doesn't mean they were wrong. That's your problem. If some analyst says, Apple sells will drop to 200M and they only drop to 205M, you take it, see it was ahead of their expectations. Yep it was. Still doesn't change the fact it was down. Down is down bruh and that is the direction Apple is going right now and again just like you didnt believe the sales were going down even with all the proof thrown in your face. You can believe whatever you want. The fact is with Trump raising tariffs on goods imported from China. The prices of components going up and down here and their as new tech is arriving and the fact Apple cheapest phone costs $1000 outside the US. APPLE is going down and nothing you say is gonna change that. Keep cheerleading with your crazy fanboy stupid arguments that hold zero water. The Big 6 will bail out Apple, nothing to worry about. We’ve already got one spinning like a dervish here. He’s gotta be nauseous by now! All of these commenters giving stock and investment advice yet they are all poor Indians. yeah. Telling people to go buy something they themselves cant afford is comical at best. Midan is a complete joke of a stooge. This coming from boy who thinks 50% is 100% and who own Samsung OLED TV, priceless! Yeah keep on pretending they have iphone lol.